To change minds, communicators need to focus on finding common ground, emphasizing positive outcomes, and offering immediate rewards, said neuroscientist Tali Sharot. 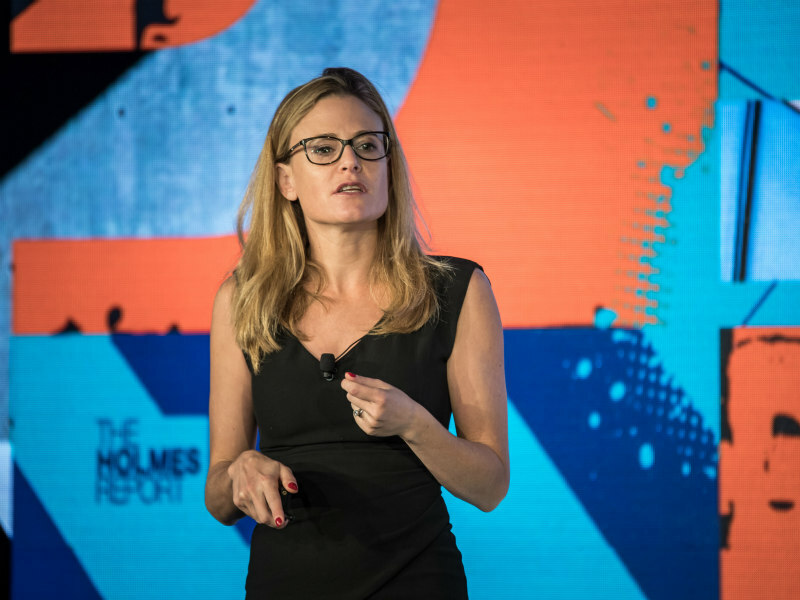 MIAMI—To change minds, communicators need to focus on finding common ground, emphasizing positive outcomes, and offering immediate rewards, said Tali Sharot, associate professor of cognitive neuroscience at University College London and author of the recently released book The Influential Mind, during a session on “Why Facts Don’t Unify Us” at PRovoke17 in Miami this morning. Sharot, introduced by Ketchum’s global CEO Rob Flaherty, began by explaining the powerful impact of confirmation bias on human thought—which means that facts alone are rarely effective in changing minds. To answer that question, she cited experiments in which people’s brains were monitored while they worked with others to make financial decisions. Brain scans showed part of the brain shutting down when the other person disagreed with their own conclusion, and found that when confronted with disagreement, many people actually became more confident in their original beliefs. Research has also found that people will go out of their way to avoid or ignore negative information—research has shown that investors, for example, check their stock portfolio less frequently when the market is declining, because they don’t want to know they’re losing money. But using neuroscientific evidence, Sharot suggested that there were ways to circumvent the inherent biases of the mind. “Instead of going head to head, the first thing we need to do is start from common ground,” she said. She cited evidence from the health arena, where experts have been trying to counteract the rise of the anti-vaccination movement. And immediate rewards—both tangible and intangible—are very effective in changing people’s behavior. “Things we can get immediately are more effective than things we can get in the future,” Sharot said. “There’s thing called the attribution problem—if you kiss your spouse while he or she is washing the dishes, your spouse will connect the reward to the action, but that might not be the case if you wait until later. And rewards are more important than the threat of punishment. To get the good things in life we need to act. Our brain has evolved to understand the relationship between action and reward. Not acting is a way to avoid bad stuff. Negative information, on the other hand, can be an effective way of achieving inaction.